A Site Plan Submittal is required if a new building or addition is proposed, if the footprint (foundation) is affected, or if a subdivision is proposed. 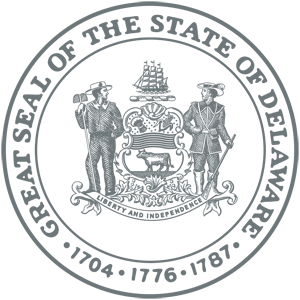 The site is reviewed for emergency vehicle access, fire lanes, water mains, hydrants, building use & construction. Refer to the “Site Plan Submittal” brochure and Delaware State Fire Prevention Regulations. A site plan must be approved before a building or addition can be approved. A Building Plan Submittal is required for additions, new buildings, changes of use, renovations, and tenant fit-outs before a building permit can be obtained from a building code official. The building is reviewed for life safety and property protection features such as exits and fire protection systems. Refer to the “Building Plan Submittal” brochure and Delaware State Fire Prevention Regulations. A final inspection may be required before the building code official issues a Certificate of Occupancy. The building plans must be submitted before the fire protection system or tank plans can be submitted. 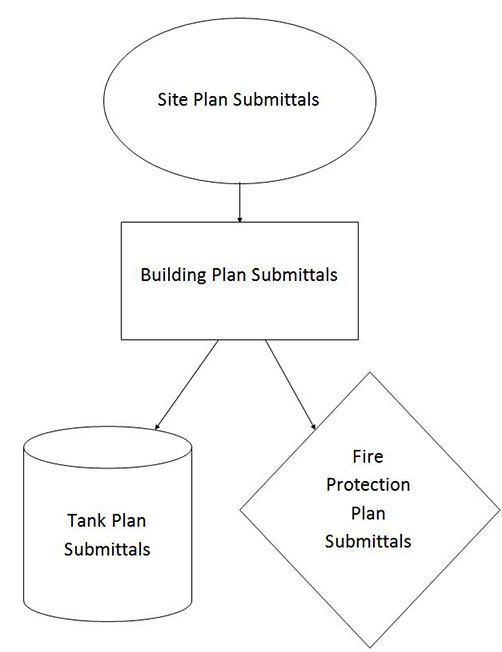 A Tank Plan Submittal is required for all flammable and/or combustible liquids and/or gas installations, such as fuel dispensing, aboveground tanks, and propane. The installation is reviewed for compliance with Delaware State Fire Prevention Regulations and National Fire Protection Association, such as distances to property lines and secondary containment. A final inspection may be required prior to use. A Fire Protection Plan Submittal is required for all fire alarm, sprinkler, cooking equipment, hood exhaust, and hood suppression systems. The fire protection systems are reviewed for compliance with Delaware State Fire Prevention Regulations and National Fire Protection Association for devices and equipment location. Refer to the “Fire Protection Systems Submittal” brochure and Delaware State Fire Prevention Regulations. A final inspection and acceptance test is required for all fire protection systems. Preliminary, progress, and final inspections are conducted throughout the entire process. It may be to your advantage to schedule an appointment with a Fire Protection Specialist in order to obtain additional guidance. We want to give you all the assistance and help that you need. Note: The term “Plan Submittal” means plans, application, and fee. Refer to the specific submittal requirements for plans, specifications, or cut sheets.